Firstly, I’d like to wish everyone on this list a happy new year, we are off to a great start. 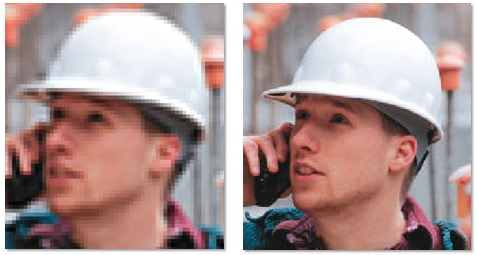 The new year is a time to set goals, turn things around, and be better than we were before. 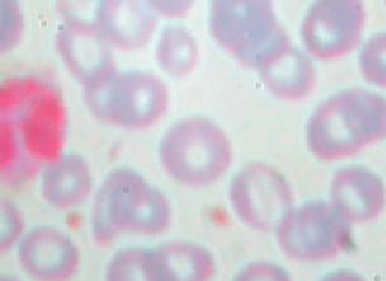 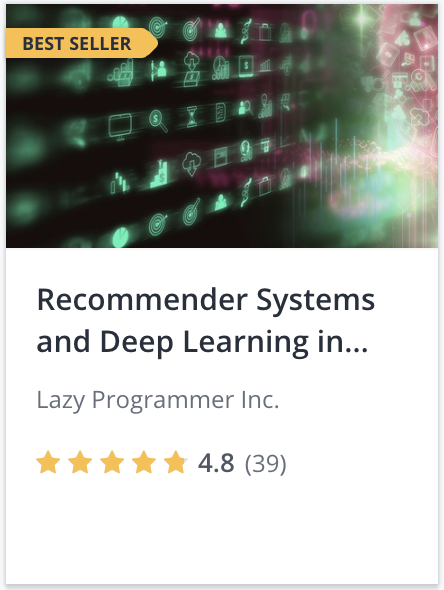 What better way than to learn from thousands of experts around the world who are the best at what they do? 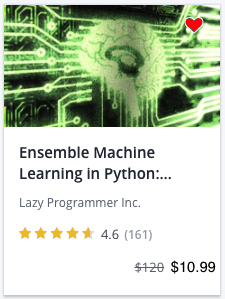 Luckily, I’ve got something that will make it just a little easier. 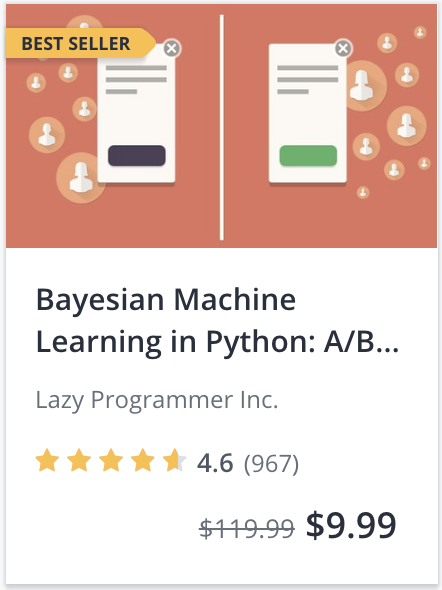 For the next 10 days, ALL courses on Udemy (not just mine) are available for just $9.99! 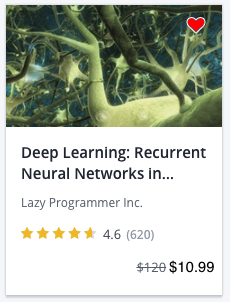 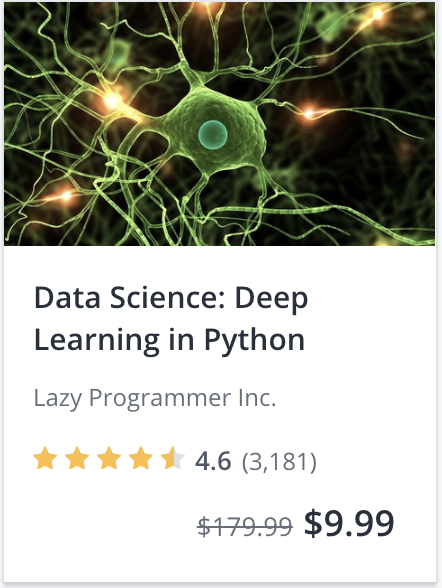 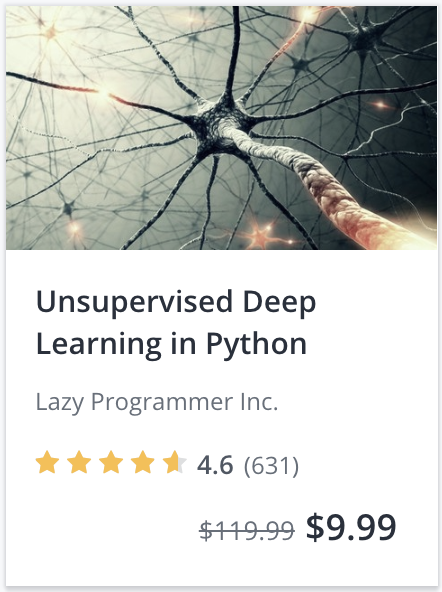 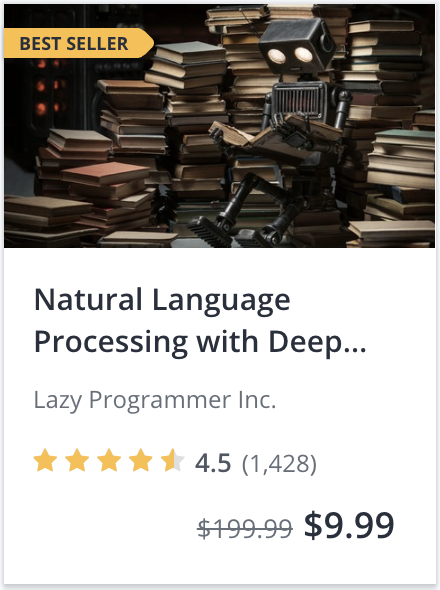 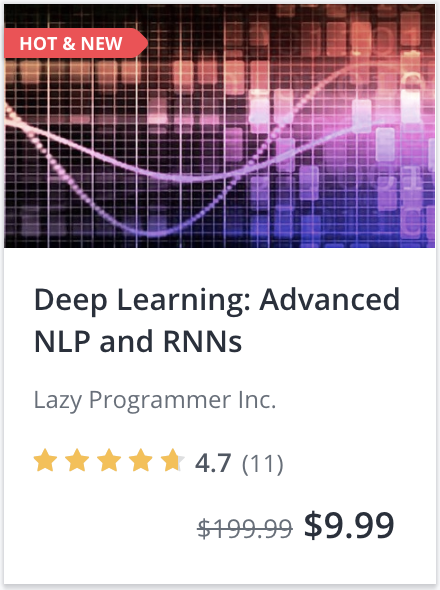 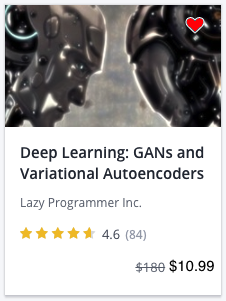 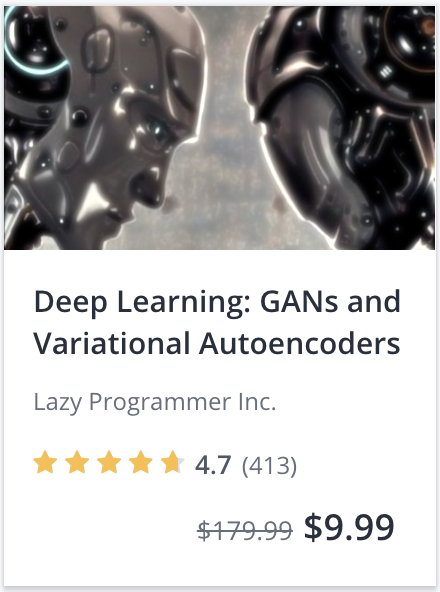 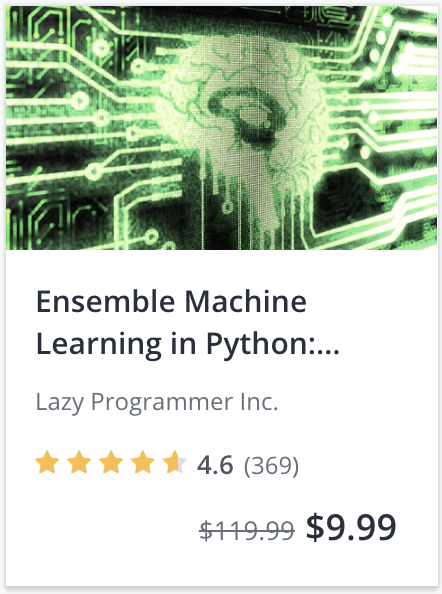 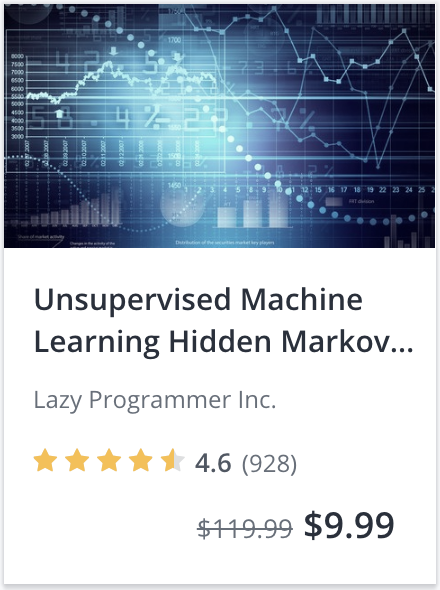 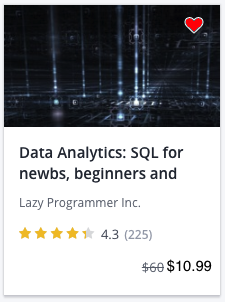 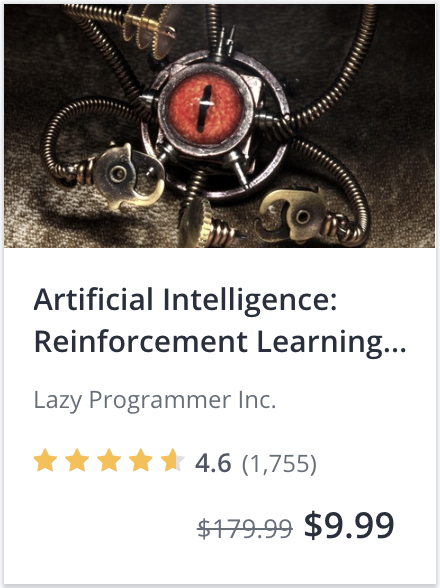 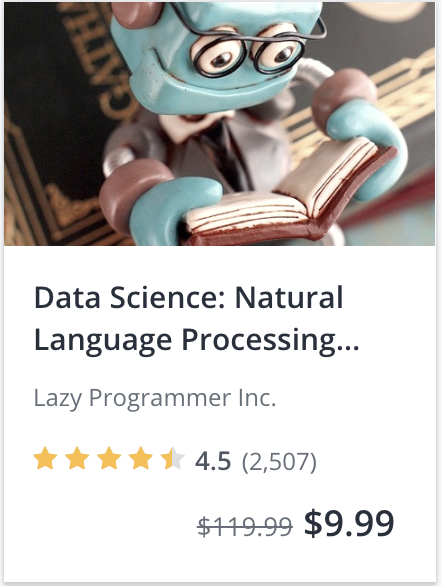 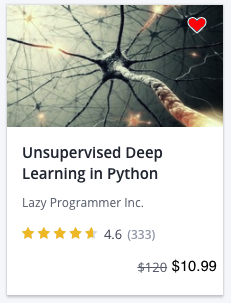 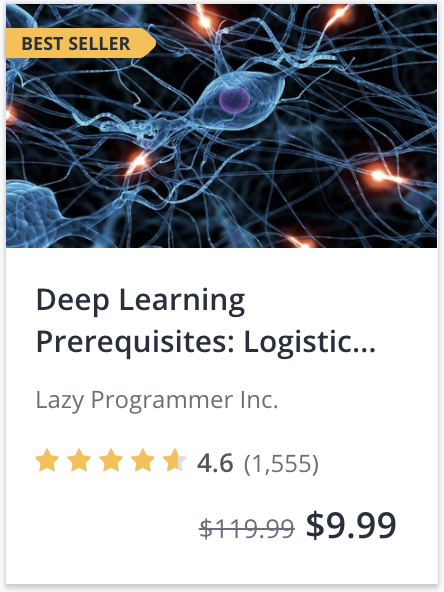 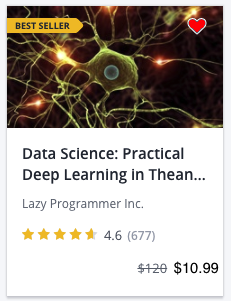 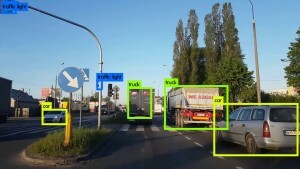 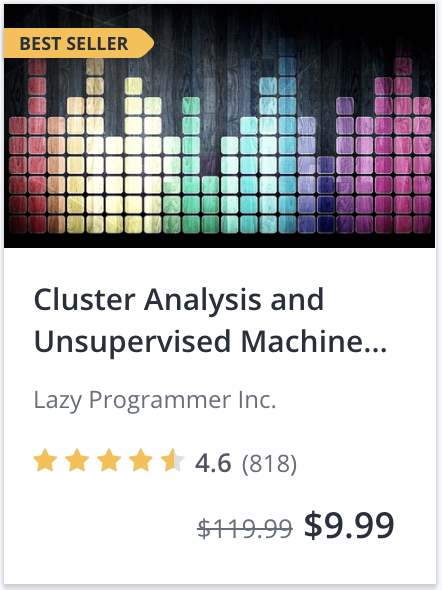 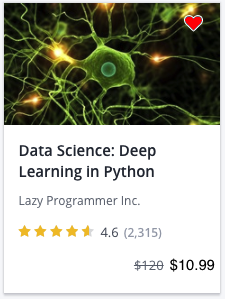 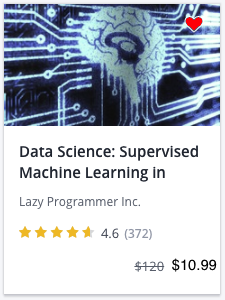 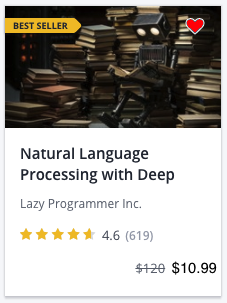 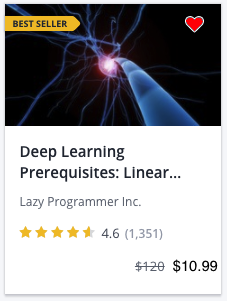 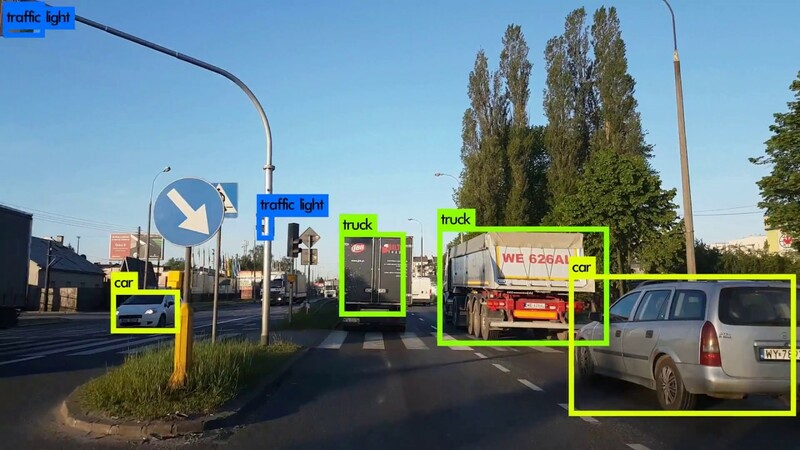 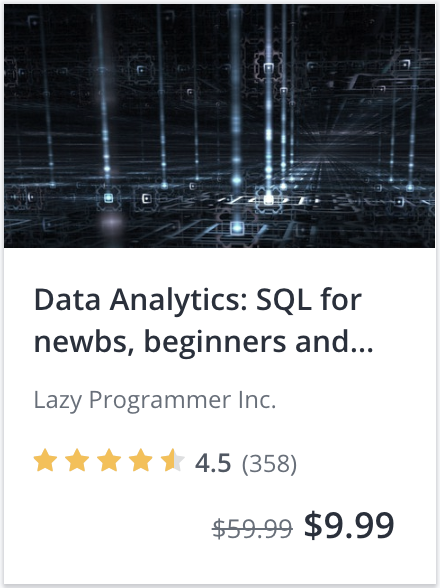 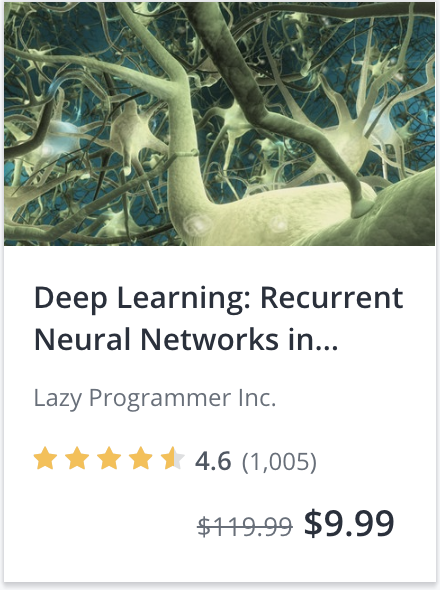 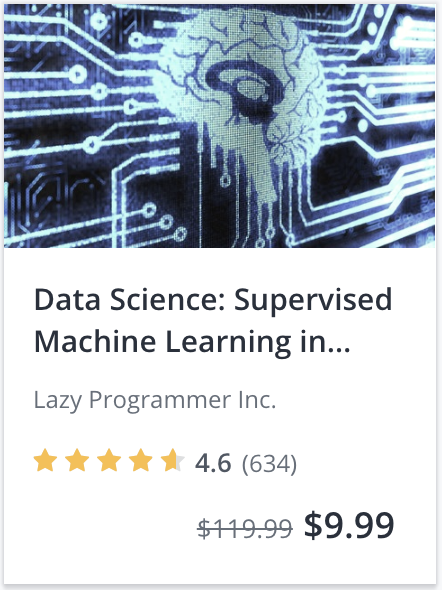 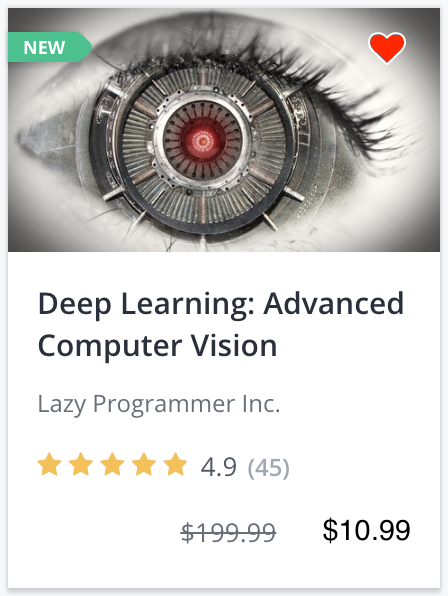 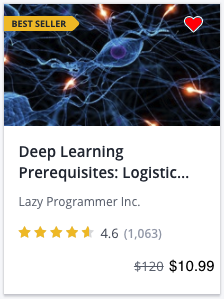 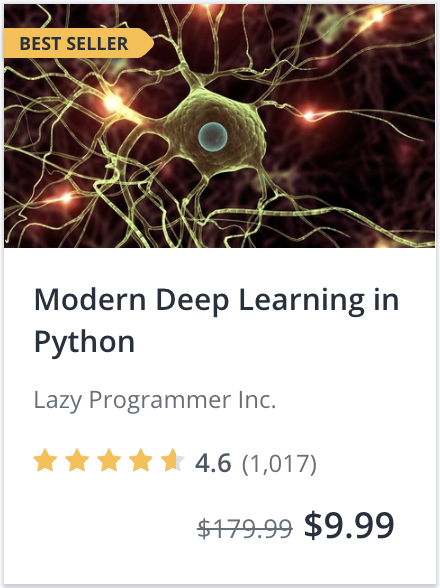 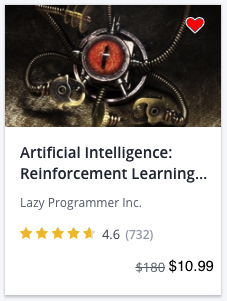 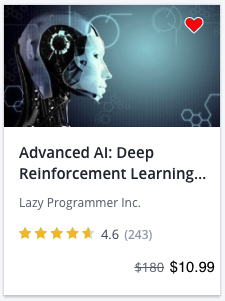 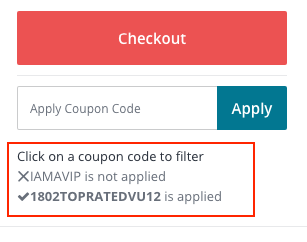 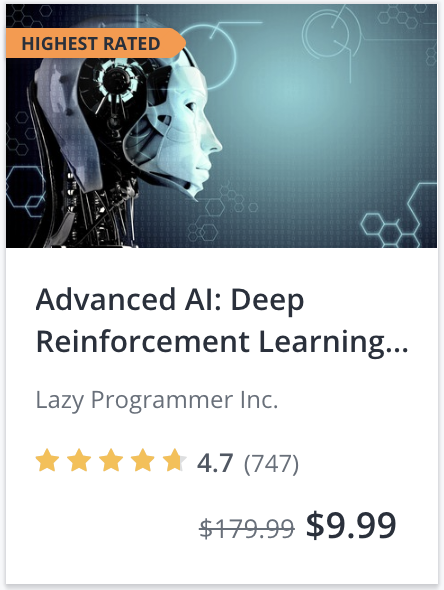 For my courses, please use the Udemy coupons below (included in the links below), or if you want, enter the coupon code: JAN2019. 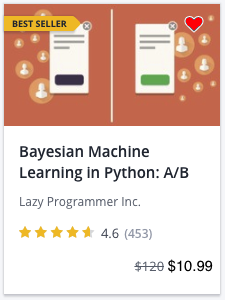 For prerequisite courses (math, stats, Python programming) and all other courses (Bitcoin, meditation, yoga, guitar, photography, whatever else you want to learn), follow the links at the bottom (or go to my website). 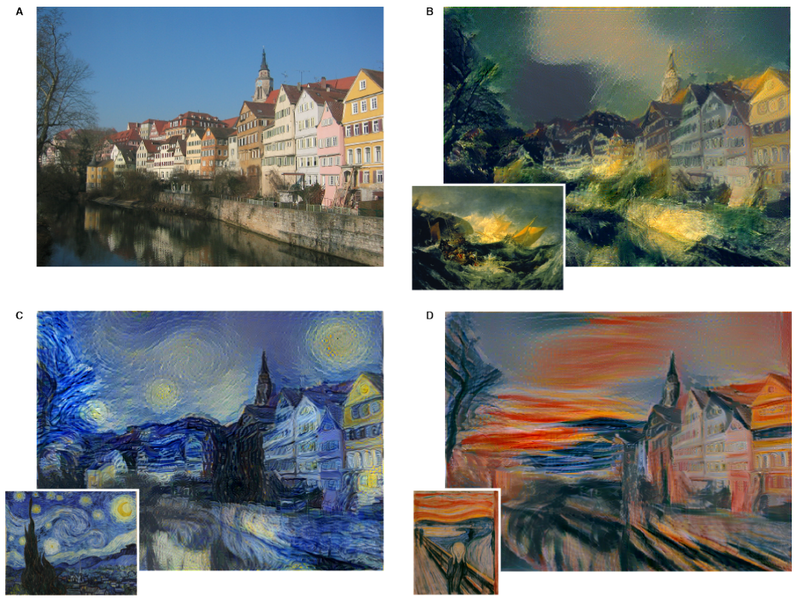 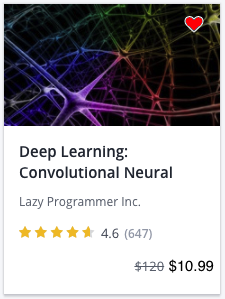 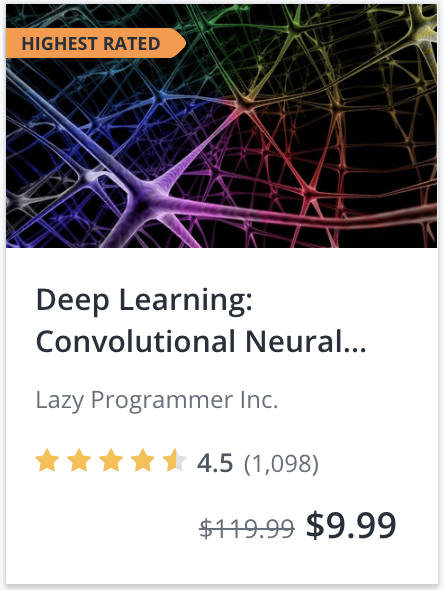 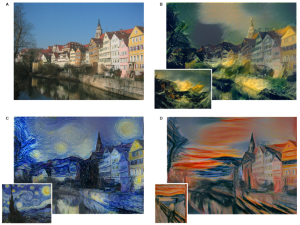 Lunar New Year 2018 Deep Learning Sale! For my courses, please use the coupons below (included in the links), or if you want, enter the coupon code yourself: LUNAR2018.